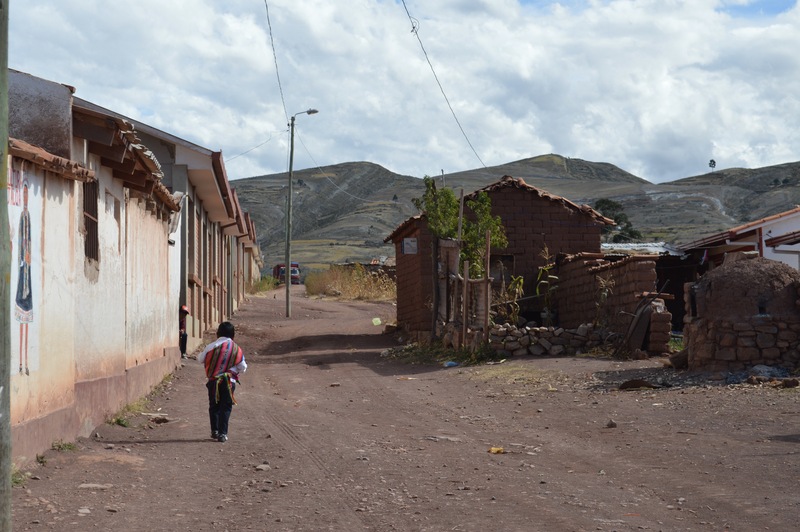 We arrived in Sucre to find a town that was much more vibrant than Potosi. It seemed less run down, more well maintained and had a really nice energy to it. 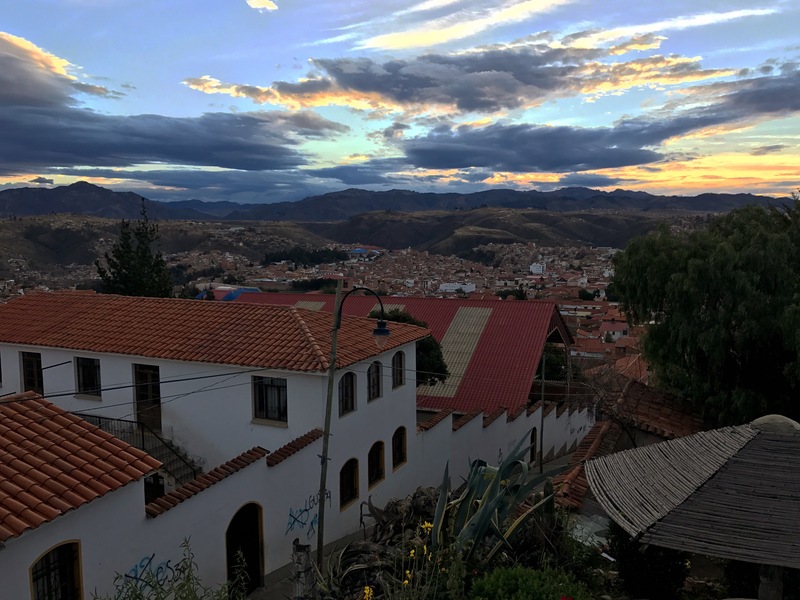 Sucre is the constitutional capital of Bolivia and lies at an altitude of 2,810 m. It was declared a UNESCO World Heritage Site in 1991. This city is filled with white washed buildings, restaurants, bars and churches. The view of Sucre from just behind our hostel. 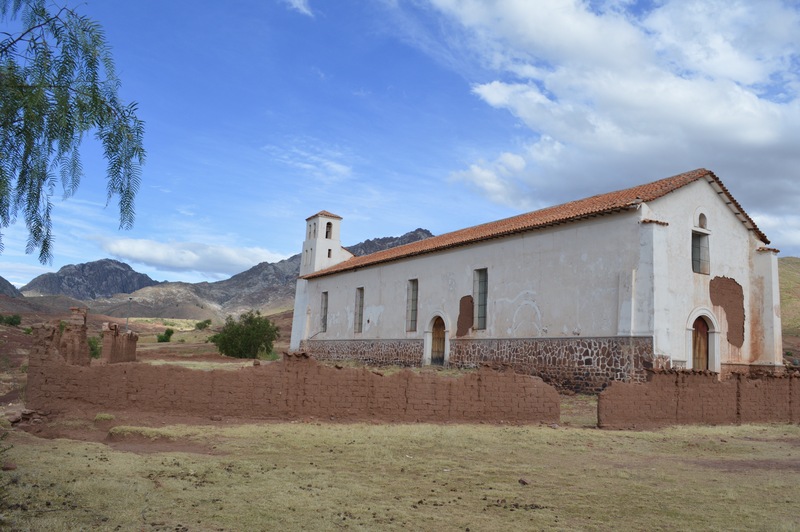 This cathedral was one of the most beautiful we have seen in Bolivia. The government building was beautiful at night. On arrival to this beautiful city we were told by fellow travelers that there were not that many “things” to do here, but rather that this city has a lot of culture to absorb. 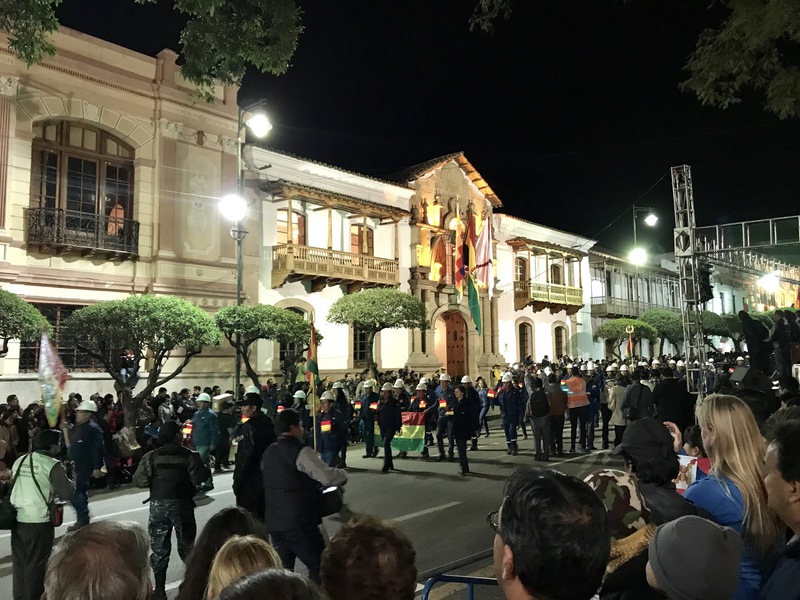 Bolivian independence from the Spanish was declared in Sucre, and it so happened that we were staying in Sucre over Independence Day (25th of May) and therefore we were fortunate enough to watch a parade which include school children and the army’s marching band. 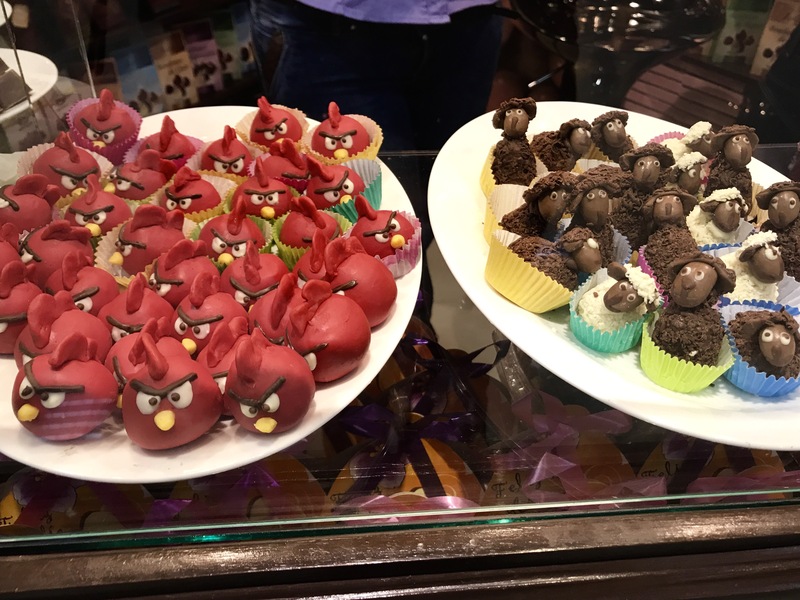 During our time in Sucre, there was also a chocolate festival. 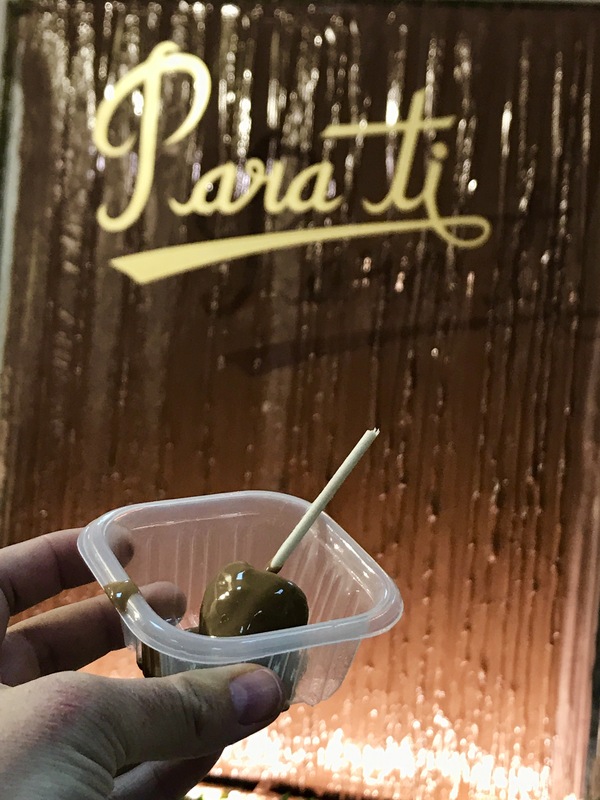 This was fun to visit and try different types of Bolivian chocolate. My favorite was the strawberry covered in salted milk chocolate. The miners marching for the Independence Day parade. The chocolate festival was a lot of fun! Such cute chocolates for sale. Courts and I took a cooking class with La Boca del Sapo. This was a lot of fun. 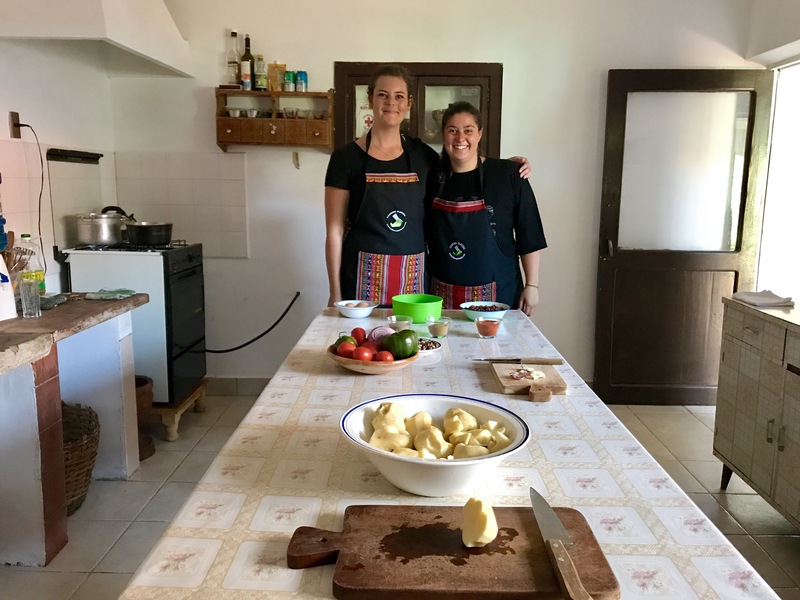 We learnt how to make the traditional Bolivian dish, papas rellenas and a traditional fruit juice, tumbo. Papas rellenas is a dish that comprises of potato that is stuffed with cheese, ground beef or egg and then fried. We had eaten this at a restaurant before going to the cooking class so we really enjoyed learning how to make this. With the potato dish we learnt how to make a salsa and a hot sauce called llajwa. The combination of the papas rellenas, salsa, llajwa and mayonnaise was D-E-LICIOUS! Our fruit juice was made with the Bolivian equivalent of passion fruit, tumbo. When we tasted the fruit raw it was incrediblely sour, but when the fruit was blended with water and sugar it was refreshing and tasted really good. Moises, our cooking instructor, was incredible. 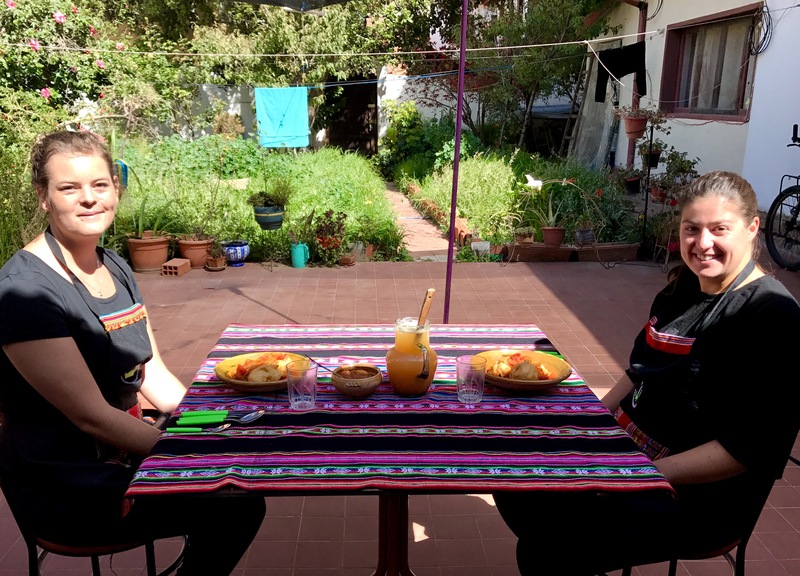 He is a local entrepreneur that allowed us to enter his home and learn how to cook a traditional Bolivian dish. Courtney and I ate lunch with him and his brother. This was a great experience I would encourage anyone who visits Sucre to do. Courts and I ready to start cooking. 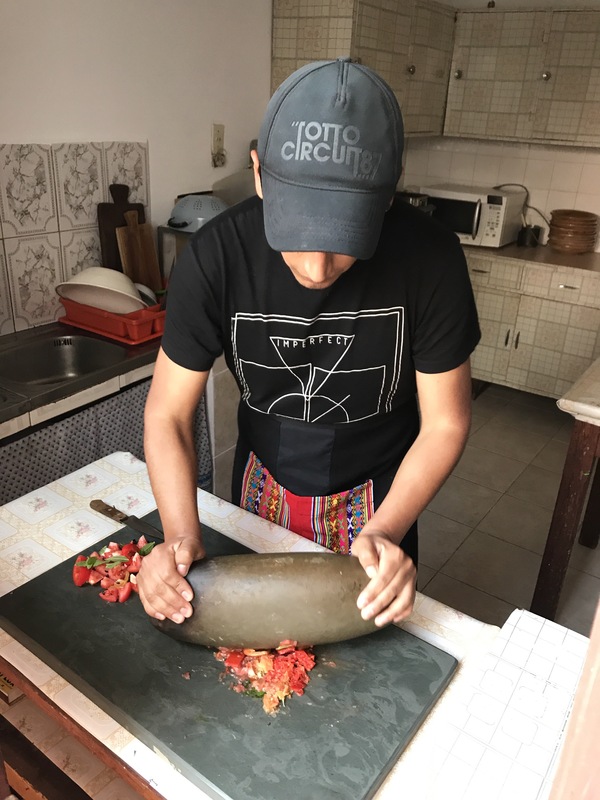 Moises showing us how to make llajwa. 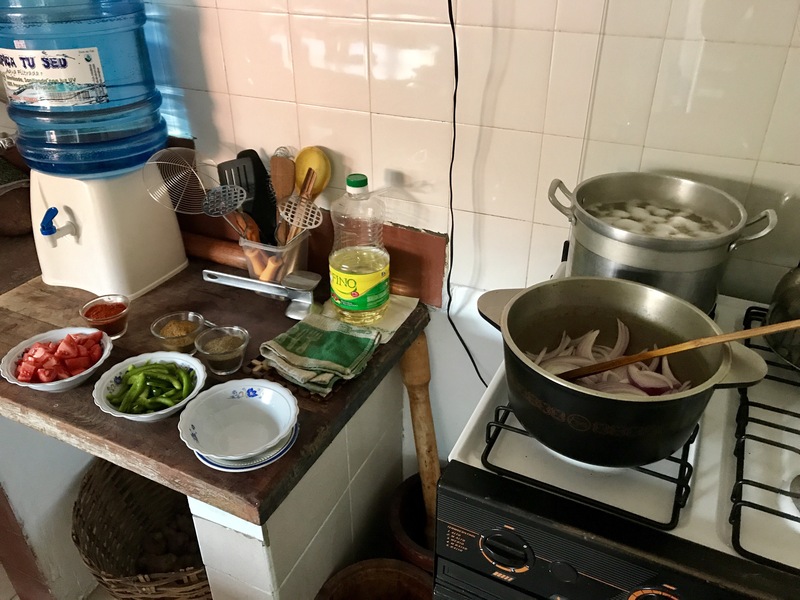 After preparing all the raw ingredients, we were ready to start the cooking process. Eagerly waiting to taste what we had cooked. 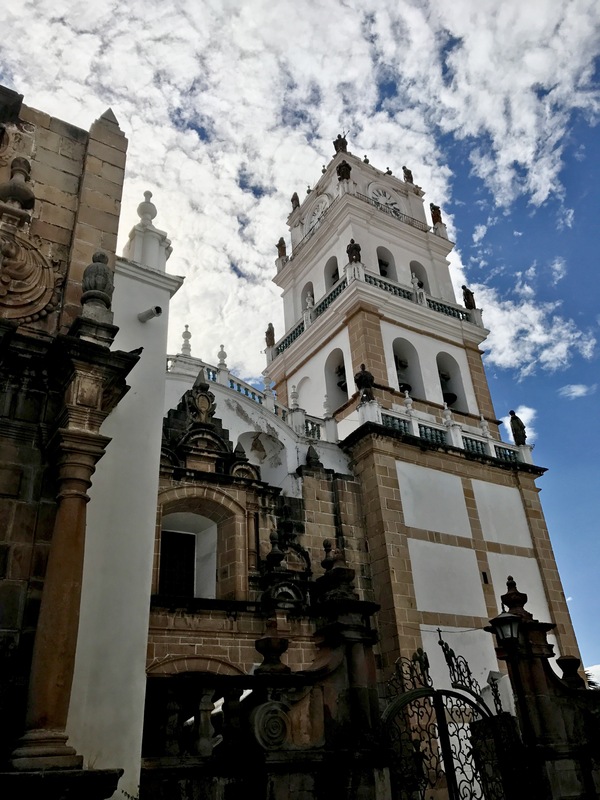 We decided to venture out of the city for one of our days in Sucre. The tour company, Skyland, was able to offer us a good deal for a one day adventure. This tour included a small hike and a visit to two rural farming towns. The downside to the cheaper cost was that we were only given a driver and not a guide. Courts and I were joined by a lovely couple from Belgium. 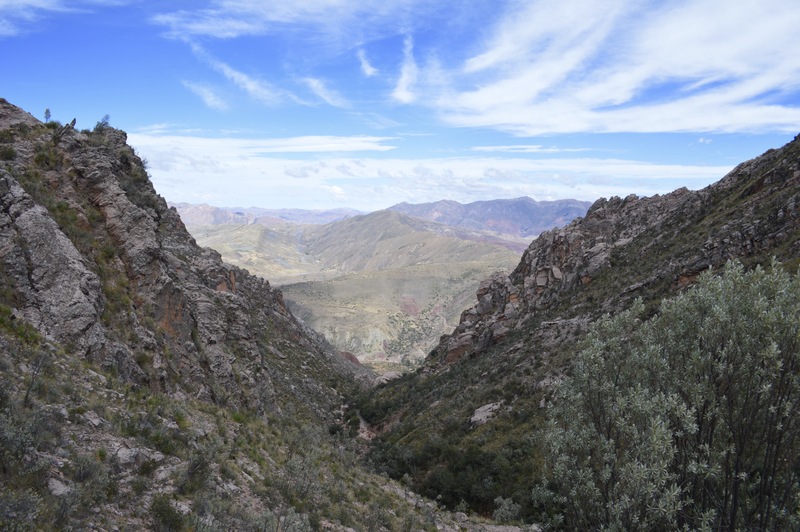 We began our day by driving 35 km out of the city until we arrived at Chataquila. This was a small church that sat at an altitude of 3,650 m. From here we walked to the start of the Camino del Inca. 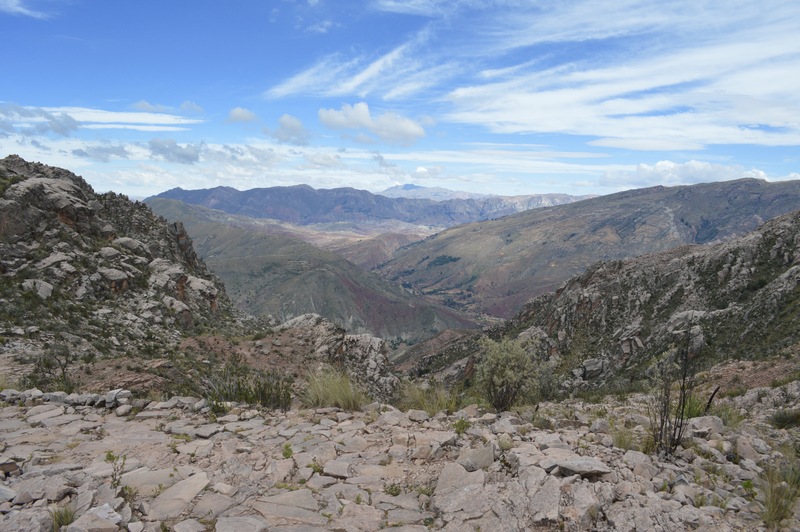 This trail is one of many that the Inca Empire used to use during the fifteenth century. The Inca Empire inhabited parts of Peru, Columbia, Ecuador, Argentina, Chile and Bolivia. This trail was beautiful! The mountains and valleys were beautiful to look at. We hiked 5,5 km over two hours until we found our driver at the end of the trail. Luckily this was all downhill! It was a privilege to walk along the well preserved trail which was built so long ago. 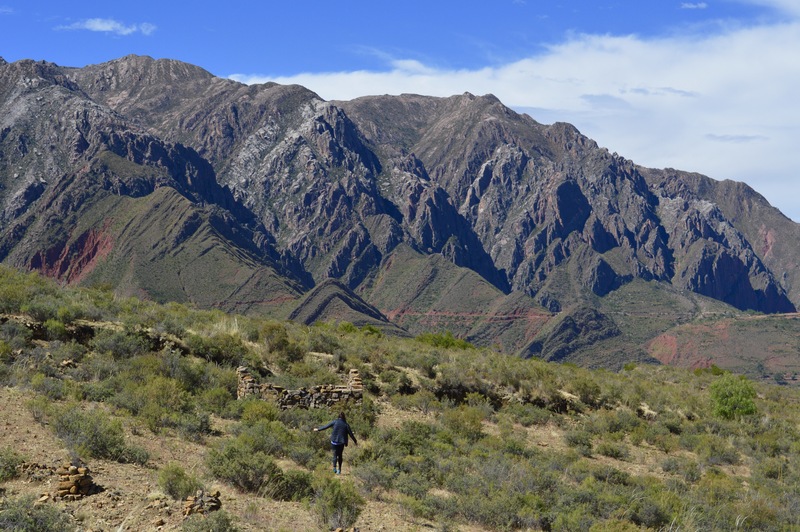 After finishing our hike, we drove to our next destination, Maragua. Our driver was amazing as he allowed us to stop whenever we wanted to take photos of the beautiful scenery. Maragua is the largest crater in Bolivia. There are many theories as to how it was created. 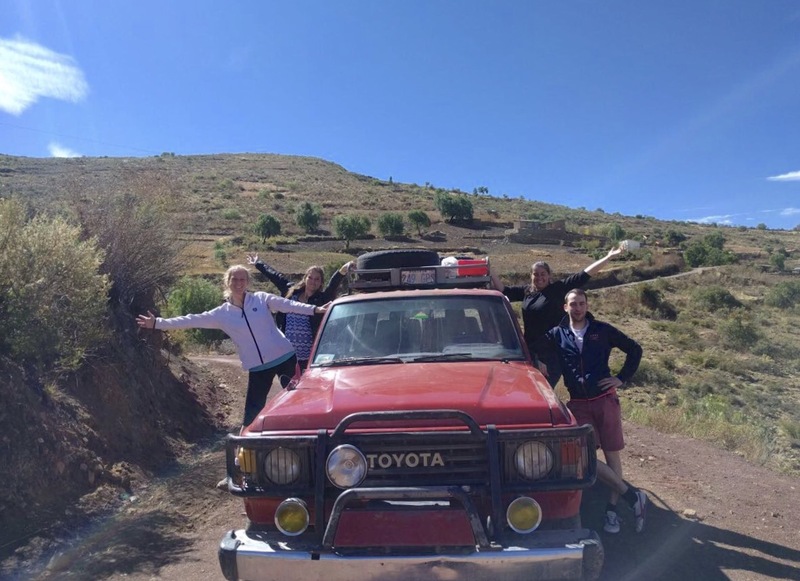 Our tour agency said that either it was a volcano along time ago, it was a mountain that had been eroded over the years by strong wind or it was a mountain that was hit by an asteroid. Even though we don’t know how the crater was formed we could appreciate the geology of the area we were in. We sat and ate lunch while we looked at the beautiful geological features of the mountains around us. After lunch, we walked into the town in the middle of the crater. This town was small and rural, but had a uniqueness that I had never seen before. 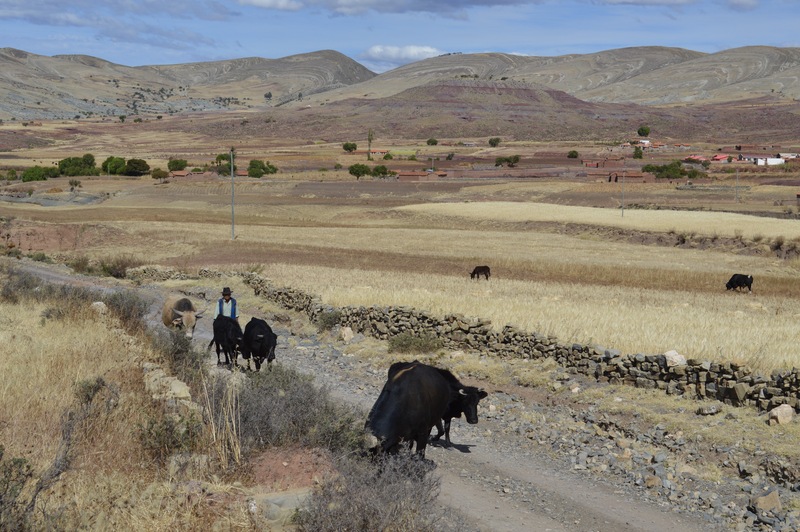 Men were herding their cows and tending to their corn, the local school was having a performance and we could walk freely to observe the features of the town. 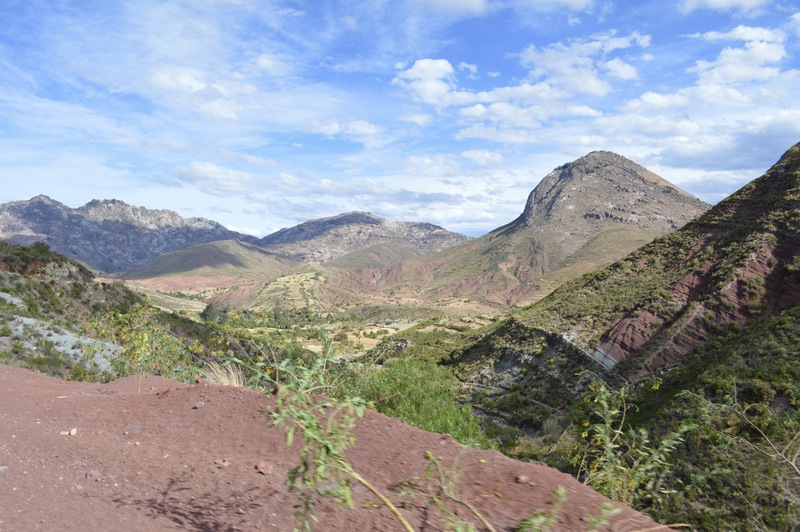 After we had finished at the crater, we drove to a small farming town called Quila Quila. The drive to this town was incredible, I have never seen such beautiful mountains before in my life. It felt like we had gone back in time by 2000 years. The nature surrounding the car was completely untouched and vibrant in color. We walked around Quila Quila and had a look at the local sports facilities (soccer fields and basketball courts, this is standard in every Bolivian town) and the church. After this, we returned to Sucre. This was a great day activity filled with beautiful views, interesting geological features, and small towns with unique charms. 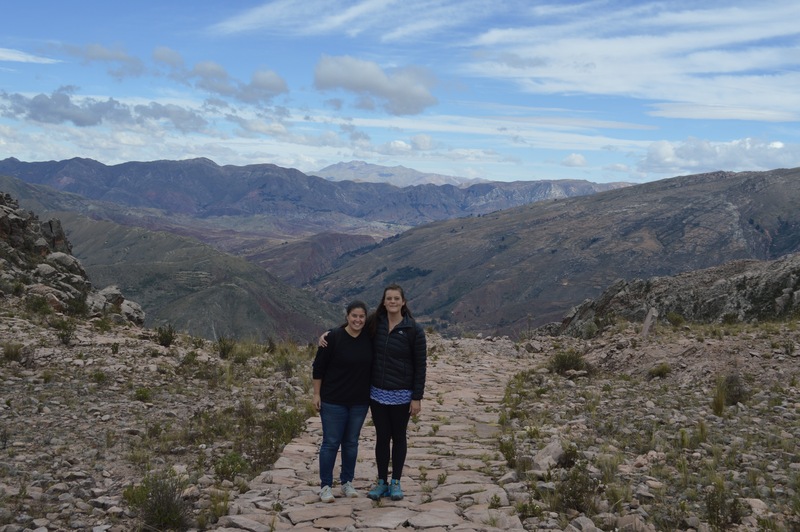 Courts and I ready to start the Camino del Inca. The different minerals gave the mountains such beautiful colors. The views from the trail made me want to stop every minute to take a photo. So beautiful! The mountains on this trail had such unique characteristics. Eating our lunch while watching the locals work and the scenery. The small village inside the Maragua crater. The view on our way to Quila Quila. The church in Quila Quila. 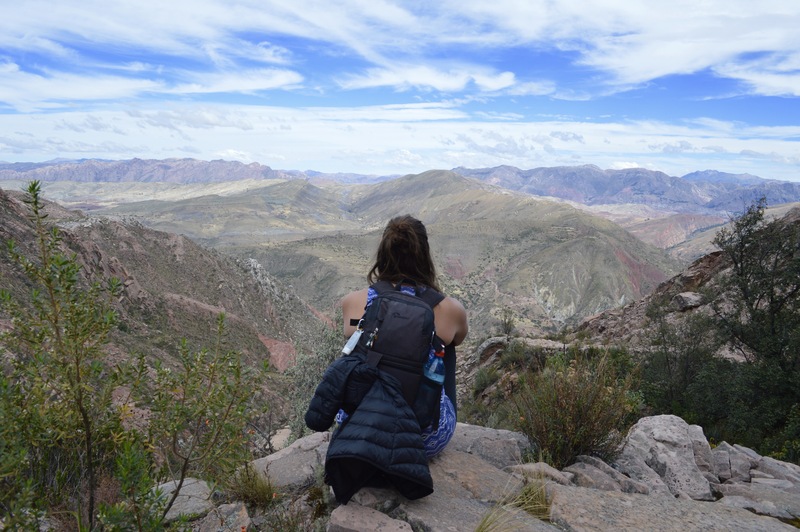 Our stay in Sucre was short, but full of different activities that allowed us to experience the beauty of Bolivia. The food we tasted was delicious and the nature that surrounded the urban area was exquisite. 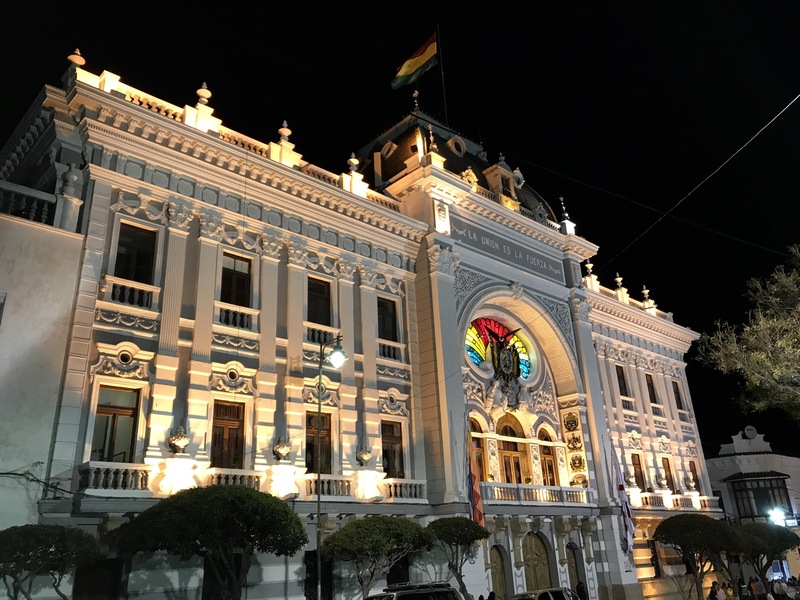 This is not a city to miss in Bolivia!